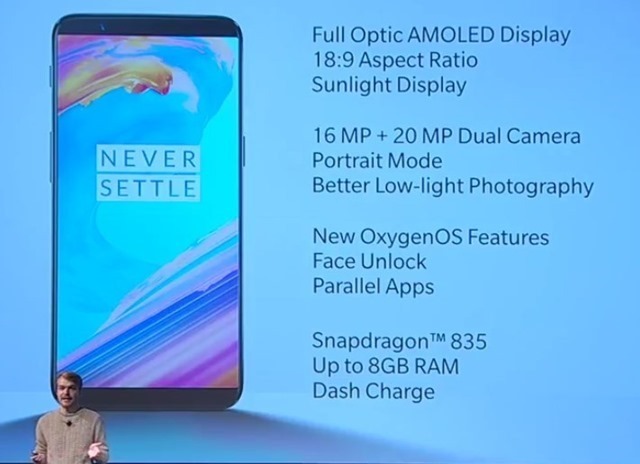 The OnePlus 5T has officially been launched today. The device sports a 6.01-inch Full Optic AMOLED display, with an aspect ratio of 18:9, a resolution of 2160 x 1080p pixels, and 401 ppi. The screen is protected by 2.5 Corning Gorilla Glass 5, and supports sRGB, DCI-P3. The OnePlus 5T has a full metal body made of an anodized aluminum alloy. 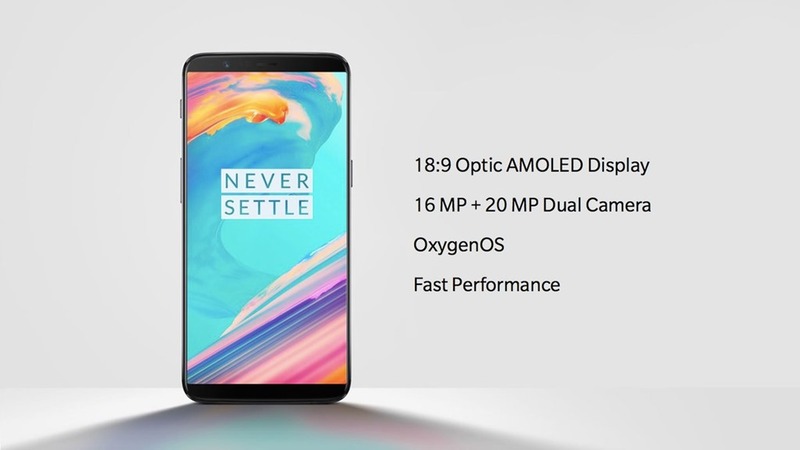 The phone is powered by a 2,45GHz Qualcomm Snapdragon processor, with an Adreno 540 GPU, and will be available in two variants: one with 6GB of LPDDR4X RAM and 64GB of storage, and the other with 8GB of LPDDR4X RAM and 128GB of storage. The device runs on OxygenOS based on Android 7.1.1 Nougat. It is unclear if the device has OIS (optical image stabilization) for videos. OnePlus has shifted away from its usual front-placed fingerprint scanner (because of the 18:9 display), and has instead embedded a fingerprint sensor on the back panel of the OnePlus 5T. The Alert Slider and 3.5mm audio jack retain their places on the 5T, just like the OnePlus 5. The OnePlus 5T packs in a 3,300 mAh battery, with support for Dash Charging at 5V 4A via the USB Type-C port. Battery: 3,300 mAh, Dash Charging at 5V 4A. 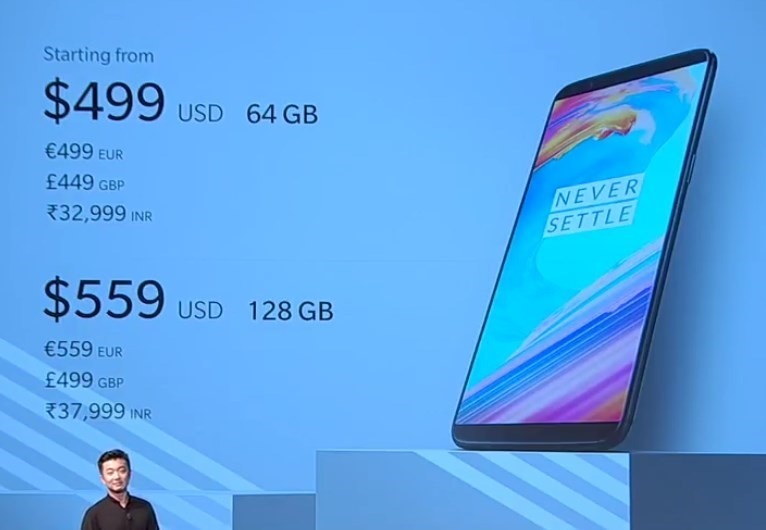 The One Plus 5T has been priced at Rs. 32,999 in India, for the 6GB RAM variant, and at Rs. 37,999 for the 8GB RAM variant. The One Plus 5T will retail for $499 (€499, £449) for the 64GB model, and $559 (€599, £499) for the 128GB model. The devices are priced at the same cost, which the OnePlus 5 retailed for. 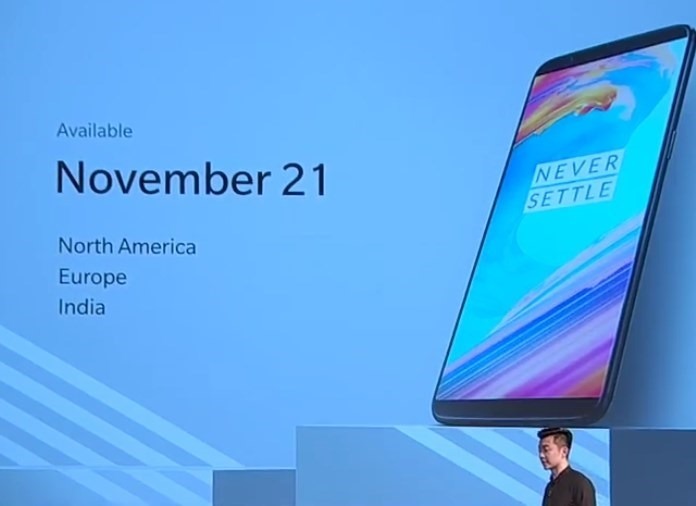 The OnePlus 5T will go on an early access sale, for Amazon India Prime subscribers on November 21, 2017, at 4:30PM. People in North America and Europe can also buy the device from the OnePlus website on November 21st. OnePlus 5 officially launched. Here's all you need to know about the device.